Scarlatti 72 bass Accordion. Pre-owned. 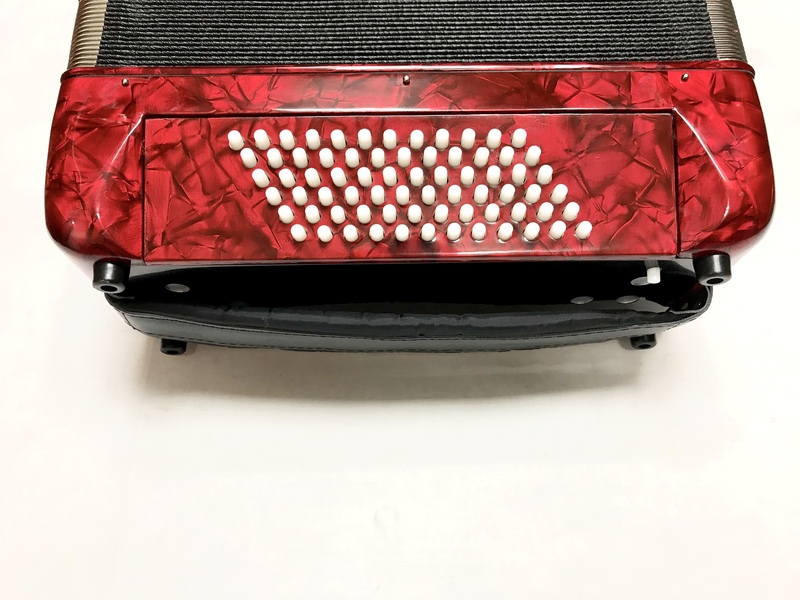 This Scarlatti 72 bass accordion has 34 piano keys & 72 bass/chord buttons. It has five treble couplers which provide a range of sounds for the right hand including a pleasant tremolo sound. 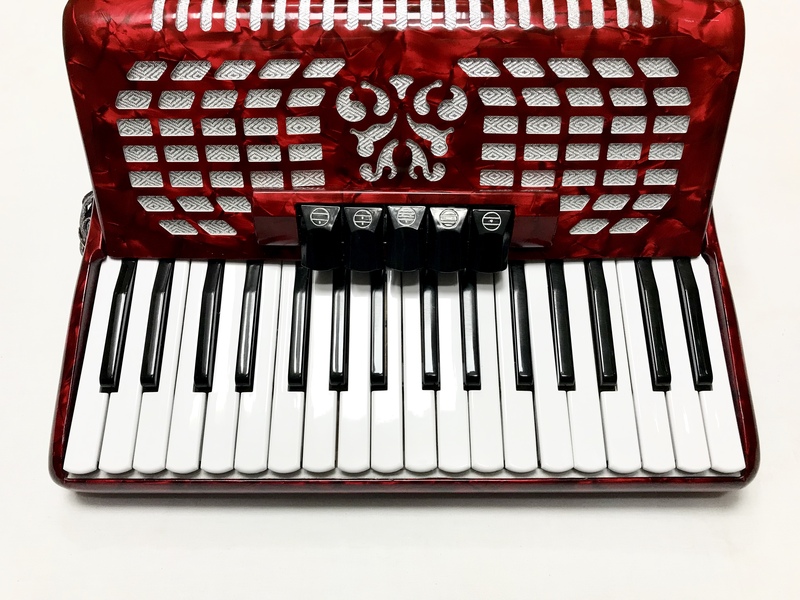 72 bass accordions are the smallest accordions to have a full range of bass/chord buttons including major, minor, seventh & diminished chords, which means they can be played in all musical keys. This Scarlatti 72 Bass Accordion comes complete with a hard case, padded shoulder straps and a 1 year component parts guarantee. 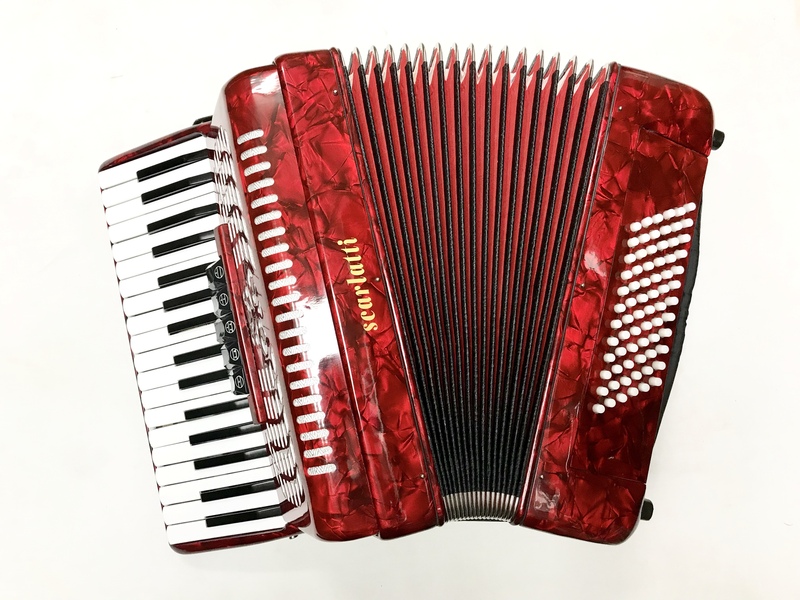 Don’t forget, free delivery of this Scarlatti 72 Bass Accordion to most parts of mainland UK is included in the price of this accordion! 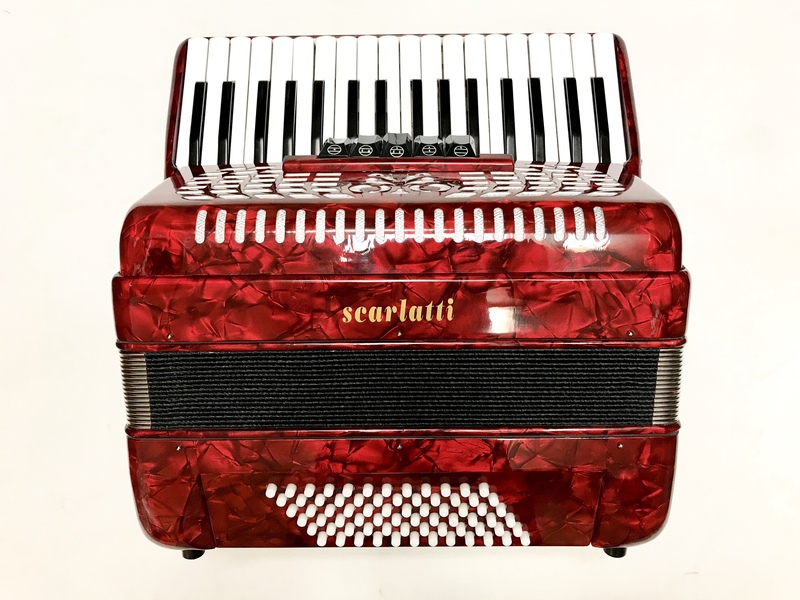 To request further information, or to purchase this excellent value for money Scarlatti 72 Bass Accordion please call us in our Rochdale showroom on 01706 658283 or email us at sales@theaccordionshop.co.uk. Weight: 7.71 Kg. - 17.5 Lbs.